History likes to repeat itself. A dozen years ago I could read about Poles mistreated by their employers in other countries. Today Polish employers mistreat Ukrainian workers who look for better paid jobs here. In 2017, about 1.7 million work permits were issued to foreigners working in Poland, most of them were Ukrainians. Every week I can read about cases when an Ukrainian worker was abused or even injured while working in Poland. Most cases have been caused by employers` greediness who want to make quick money at the cost of their workers. 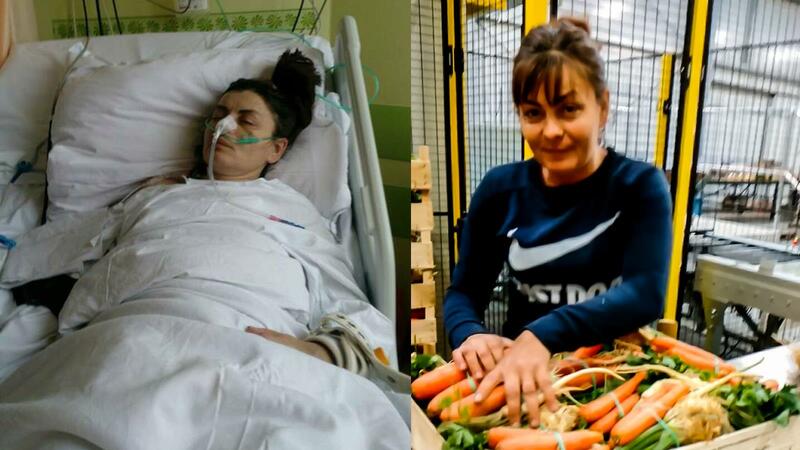 The most recent case is about a Ukrainian woman who worked illegally in a fresh produce processing company and had a stroke. The owner, fearing the consequences, refused to call the ambulance and delayed for two hours before taking her out onto the street of the town. He left her there on a bench and informed the police about a drunk female. Today the woman is in a very bad condition. The owner is called Jędrzej Cichowlas, he runs a successful fruit/veg company and employs 50 workers. He has been one of main suppliers of a chain of supermarkets for many years, but now the chain has started withdrawing from the cooperation, e..g, the ads and commercials have been removed from the media. The situation happened a month ago but he did nothing to help the woman. Only after the media got the wind about it and blew it all over Poland, he promised to cover the costs of treatment and therapy (as an illegal worker, she didn`t have social security insurance).